SAP | Platinum Drivers Inc.
What is the SAP Program? We’ve written about drug and alcohol testing on this blog in the past. The reasoning behind the testing doesn’t need to be explained—it makes the road safer for everyone by reducing the possibility of accidents. However, it’s important to remember that truck drivers are human beings who are prone to making mistakes just like the rest of us. And while some violations may warrant a swift firing, employers may not want to kick every driver with a drug or alcohol violation to the curb. This is where SAP programs come in. SAP stands for substance abuse professional. These are the people who are in charge of rehabilitating and evaluating those who’ve committed a violation, taking the proper steps to get them back on the road. Of course, the importance of this position cannot be overstated. SAPs make decisions that will put past violators back into the drivers seat in safety sensitive positions. That’s why the program is so stringent. The SAP program starts with a face-to-face assessment of the driver, along with a clinical evaluation. Based on the what’s gathered, the SAP then puts together a specific plan, a recommendation for treatment and education. This information is reported back to the employer through a DER, or designated employer representative. The driver must follow this plan exactly, and the SAP must check in to make sure things are going smoothly. Once the plan is completed, the driver is called back in for a second face-to-face evaluation with the SAP. If the SAP deems the driver ready to return to duty, they inform the DER. The SAP is then required to write a follow-up testing plan, which must begin with at least 6 unannounced drug or alcohol tests in the first 12 months. However, testing can occur as often as the SAP deems necessary, and can last as long as 60 months. The employer must stick to the plan, and is not allowed to administer additional testing. Furthermore, the plan must follow the driver into future positions and new employers. Of course, an employer can simply dismiss an employee who fails a drug or alcohol test. But if they want to return the driver to duty, they must enter them into an SAP program. In fact, they must give contact information for an SAP regardless. In most cases, the driver is required to cover expenses, but some labor agreements may change this. To stay knowledgeable and up to date on all facets of the truck driving, subscribe to the Platinum Drivers blog. 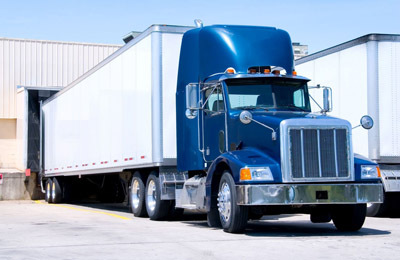 Visit our website if you’re interested in CDL driver staffing and placement service providing drivers in all areas of Georgia, Louisiana, Oklahoma and Texas.